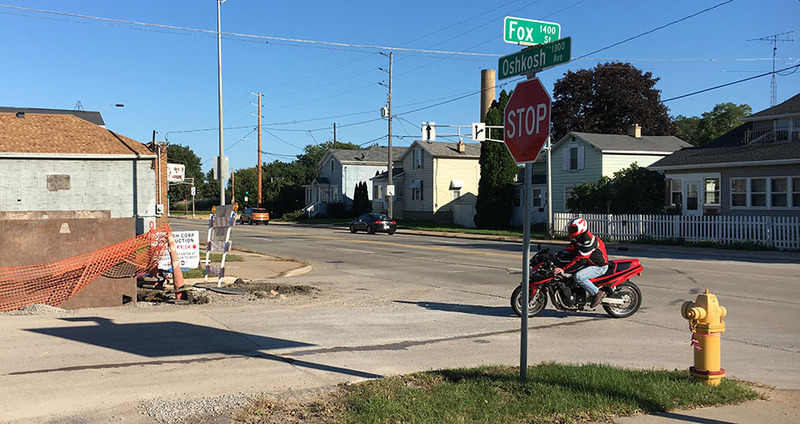 A motorcyclist turns off of Oshkosh Avenue onto Fox Street, one of two intersections to be closed next month. The closure will allow for work on sanitary sewers crossing under the intersections of Fox Avenue and Punhoqua Street. City staff said the contractor will try to coordinate the work at each location to minimize the closure time so that it may be as short as three weeks.